LIONEL PODCAST: The Obama “State of Emergency” Shreds the Constitution Again! The Executive Order. POTUS Barry Obama signed the referenced infra, a “state of emergency,” giving your United States government the unfettered red light to sanction suspected cyber-criminals with inter alia financial and travel restrictions as well as civil asset seizure and forfeiture. Uh oh. 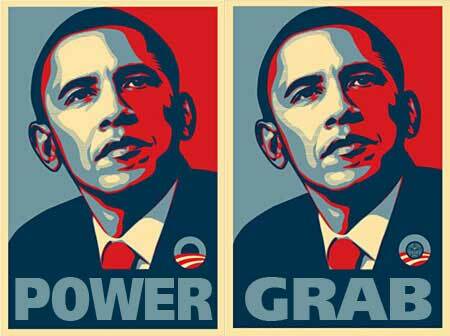 But what this is about is a blatant power grab on so many levels. The government let the genie get out of the bottle when DARPA constructed the Internet in the early 60s. They turned their back and the world was never the same. Since then it’s been full speed ahead to reverse this egregious error and oversight. “This executive order supports the administration’s broader strategy by adding a new authority to combat the most serious malicious cyber-threats that we face,” the president said in a statement. This is dangerous stuff, Sparky. As Robert Graham notes: “[T]he reality is that it’s a power grab by government, granting them new powers to bypass our rights, that they are unlikely to ever give up. It’s unlikely to solve the problem of foreign hacking, but will do much to expand the cyber police state.” Oh, how delightful. It’s an emergency! Declarations of emergency tend to be permanent. We already operate under 30 declarations of emergencies dating back to the Roosevelt administration. Declarations of emergency tend by nature to be permanent and never withdrawn. A government withdrawing power?! We already operate under 30 declarations of emergencies dating back to the Korean war! Feel safe? I don’t.